Early exposure to alcohol is one of the greatest predictors of later in life substance abuse. Researchers at the University of Washington think they know why - after investigating the issue using alcohol loving rats in an animal model decision making experiment. Teen rats that drink alcohol are more prone to risky decision making later in life. Researchers at the University of Washington divided a pool of rats into 2 groups. During rat adolescence, between the ages of 30 and 49 days of age, one group of rats consumed a tasty gelatin solution for fluids and another group of rats consumed a tasty gelatin solution that also contained a significant quantity of alcohol. 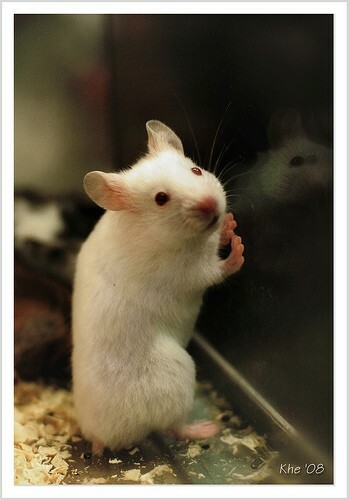 Once the rats matured into adulthood (20 days later), the scientists then exposed the rats to 2 types of reward levers. One lever gave two sugar pellets every time, and another lever (a variable lever) issued either 0 or 4 pellets. On the first day of testing, the variable lever issued a 4 sugar pellets 75% of the time, and rats from both groups preferred this lever. One the second day, this variable lever gave 4 pellets 50% of the time. Rats that drank as teens still preferred this variable lever, but non alcohol using rats used each lever equally. On the third day, the variable lever issued pellets only 25% of the time. Rats that drank as teens still preferred to press this “risky” lever, while rats that did not drink as teens quickly realized that the constant lever offered a greater number of pellets and adapted to prefer it. The researchers repeated the test after a further 70 days, and found similar results. Rats who consume a lot of alcohol as teens make decisions differently throughout adulthood. They are more drawn towards risky decision making and less able to adapt to changing environmental variables. The researchers believe that findings from this animal model experiment explain in part why people who drink at a young age are more prone to later in life substance abuse problems. Study author Ilene Bernstein commented on the significance of the findings by saying, “Age of exposure to drugs is the No. 1 factor predictive of substance abuse later in life. Adolescent drinking is an epidemic today. This research raises a concern that if the brain is permanently changed by alcohol we need to place more emphasis on preventing adolescent alcohol use." The research results are published in this week’s online edition of Proceedings of the National Academy of Sciences. Here are 2 facts about alcoholism: It tends to get worse over time (it is progressive) and most people experience a fairly similar progression of symptoms and consequences. Here is a timeline which charts the progressive experiences of alcoholism through the early, middle and late stages. If you have a drinking problem, find out where you fall on the timeline and consider what’s coming in the future.